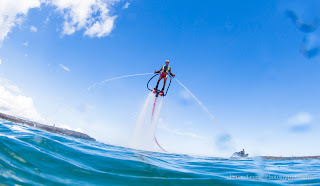 Me getting a little altitude on the Flyboard. Went over to Uken beach with Haruna and our good mate Hiro who owns and runs the Flyboard business here in Okinawa. If you haven't seen or heard of Flyboarding yet it basically feels like being Ironman on the water. 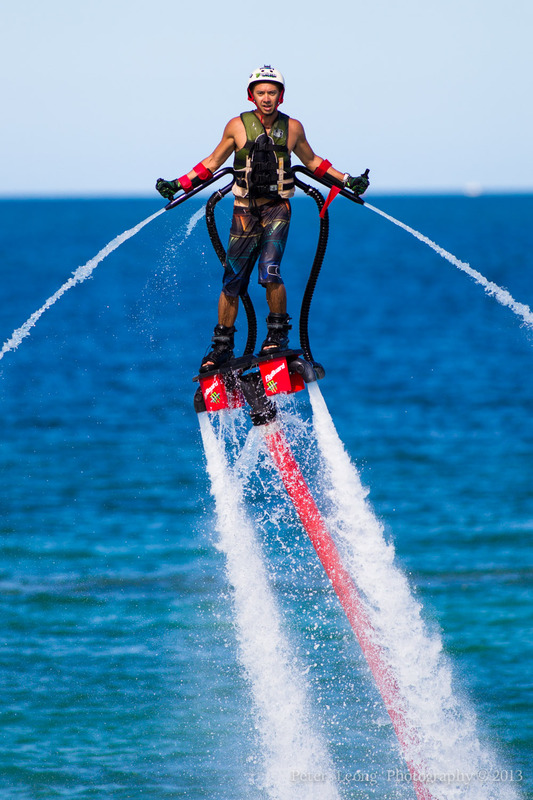 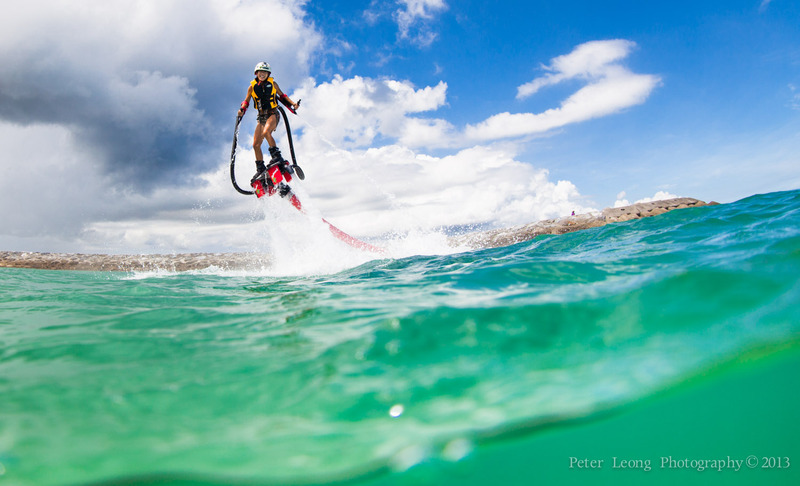 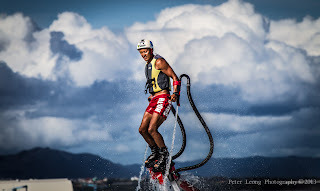 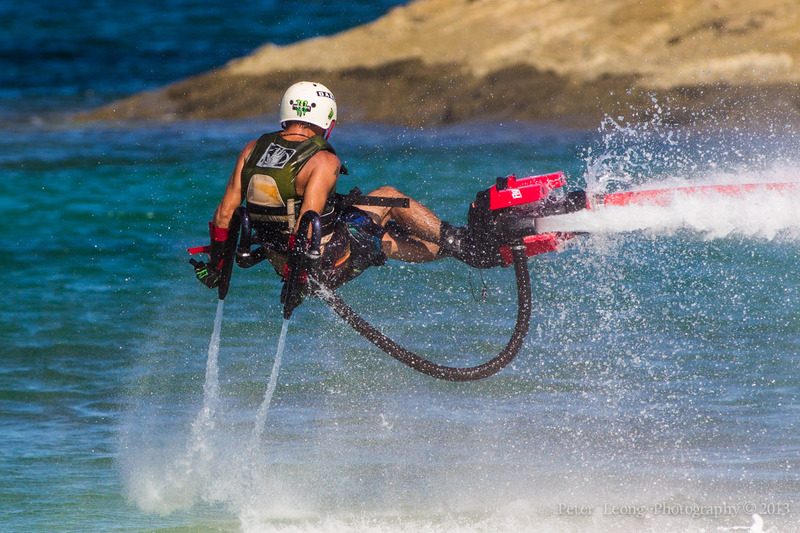 This water jet pack fun as just made its way to Okinawa in the last 6 months or so and is getting really popular. 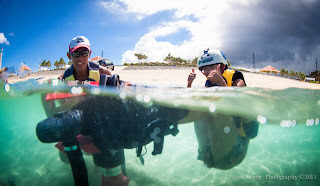 Anyway here are a few more photos from that session with myself, Haruna & Hiro. 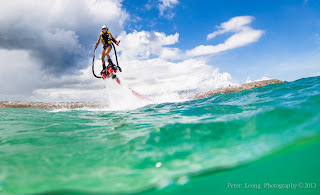 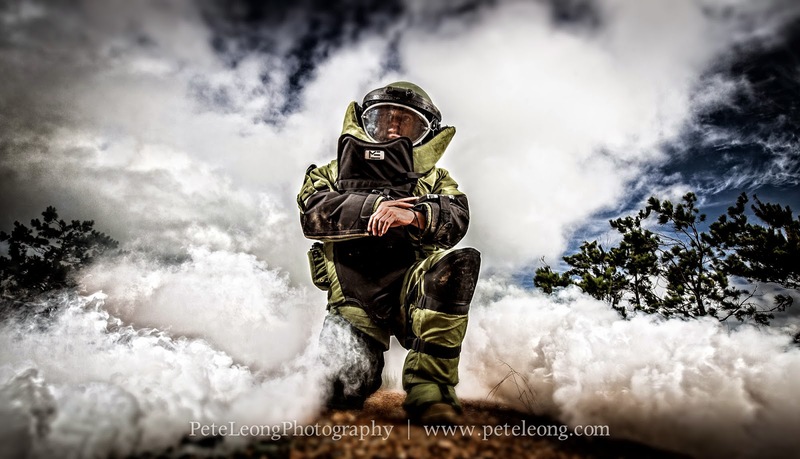 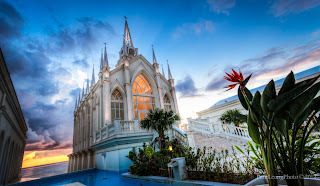 All images were photographed with the Canon 1DmkIV with 300mm f2.8L lens from the shore or from in the water with the Canon 5DmkII in my Ikelite dive housing with 8-15mm f4L fisheye attached. Shots of me were taking by Haruna. 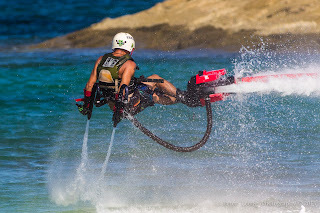 Working on some low altitude turn technique first. 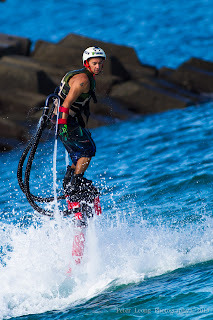 Me about to eat it hard! 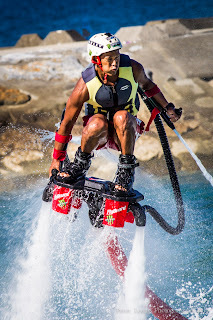 If you want to try Flyboarding in Okinawa for cheaper than the other places are doing it contact me or hit up my good mate Hiroyuki of Okinawa Flyboarding to book a session.